Mrs. Cavanaugh Chocolates ~ A Delicious Review! This holiday season we were given the opportunity to experience Mrs. Cavanaugh’s Famous Chocolates. From the moment they arrived in the mail there was a lot of excitement from the chocolate lovers in my house. It didn’t take long to dig in and we were not disappointed! The chocolate was so smooth and the variety allowed everyone to find their favorite piece of heaven. My personal favorite was the chocolate caramel bar. If you want to give someone the perfect gift, you don’t have to look any further. 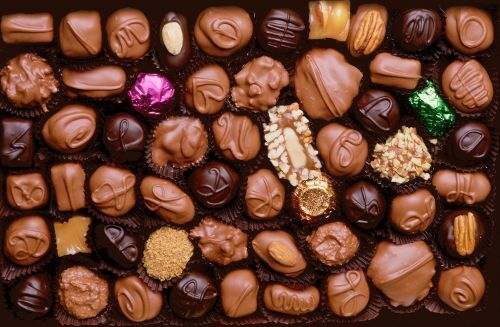 All you have to do is order chocolates from Mrs. Cavanaugh’s and have them delivered to your loved ones door. It’s super easy. Just visit http://www.mrscavanaughs.com and place your order today. Previous postTop 5 Things To Know When Visiting Schlitterbahn Waterpark & Resort South Padre Island During the Winter! Next postTexas Motor Speedway FREE Infield Camping Daytona 500 Tailgate Party!